TTT Poles are consistent quality, durable poles that are fully compliant with all NZ Standards. 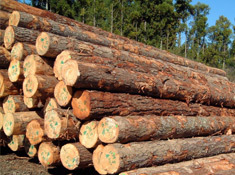 Radiata Pine logs are sourced from sustainably managed forests by responsible logging contractors and selected for consistent quality (straightness, regular sizing, knotsize, even taper). 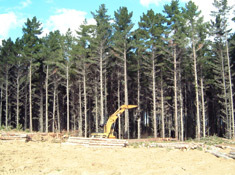 On delivery to TTT yard, our skilled staff inspect logs, then machine-peel and grade poles to ensure compliance with NZS 3605:2001 Timber Piles and Poles for use in Building. Together with careful handling and storage this results in consistent, high quality TTT Poles. TTT SED Poles are machine-peeled to achieve a regular appearance, although only minimal wood is removed so the pole retains its strength. TTT Uglies are not peeled, but roughly debarked, which results in a rougher finish but the pole retains more of its' strength. The differential in strength between TTT SED Poles and TTT Uglies is about 6%. 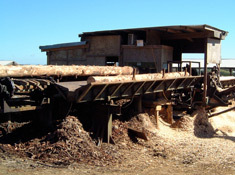 All TTT Poles are steamed (to release moisture from the wood cells in order for the CCA Oxide timber preservative to be able to penetrate), then treated with CCA Oxide to Hazard Class H5 as per NZS 3640:2003 Chemical Preservation of Round and Sawn Timber to provide protection against fungal and insect attack in an in-ground, critical use situation. After treatment the CCA preservative is fixed into the wood using our fixation process to prevent leaching of any surface CCA from the poles. Use Hazard Class H6 for poles regularly immersed in seawater or estuarine ground. TTT Products Ltd is a registered CCA Oxide Treatment Plant and are independently audited. We generally treat to Hazard Classes H3.2, H4, H5 and H6. Alternative ACQ or MCQ treatment can be carried out on a per order basis. 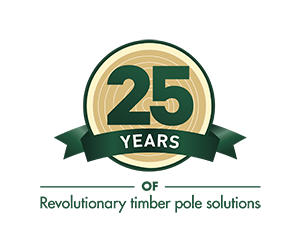 Also refer Osmose LifeWOOD CCA 50 Year Limited Guarantee for H1 – H5 (New Zealand). 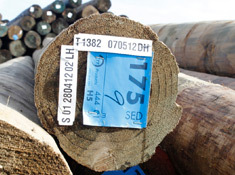 All TTT Poles are tagged with SED/diameter, length, Hazard Class and Preservative Code recorded. In addition each pole is tagged with a steam charge and treatment charge number. For TTTested Poles individually numbered tags are attached to successfully proof-tested poles. See TTTested Brochure.